Find a vacation home to rent in Province of Vercelli from our list of vacation rental properties. Campaya has over 5 vacation homes available in Province of Vercelli, which give you the possibility to locate a unique accommodation in Province of Vercelli which completes your check-list in search for the perfect self catering vacation apartments in Province of Vercelli or vacation villas in Province of Vercelli. 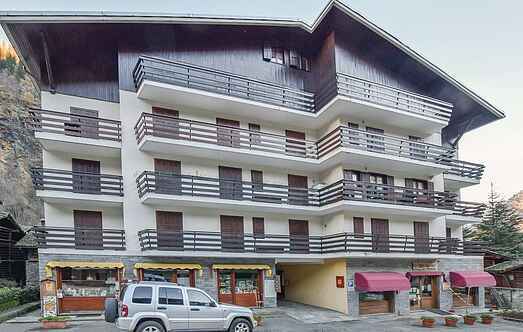 The apartment is located on the fourth floor of a small building of the 70's, located in the historical center of Alagna. Alagna (1.191 m a.s.l. Enjoy your stay in the historical center of Alagna, in this apartment located in a small building of the 70's. The large three-room apartment (attic) is on the 5th floor. Alagna (1.191 m a. Holiday apartment on the 2. floor (without lift) of a building from the 20. century in the village of Varallo in Valsesia, the valley on the foot of the Monte Rosa. Apartment in an 18th century palazzo set in the Sesia Valley, which extends at the foot of Monte Rosa. Pleasant apartment on the first floor (no elevator) with private entrance in a row house from the 19th century in the Sesia Valley at the foot of Monte Rosa.